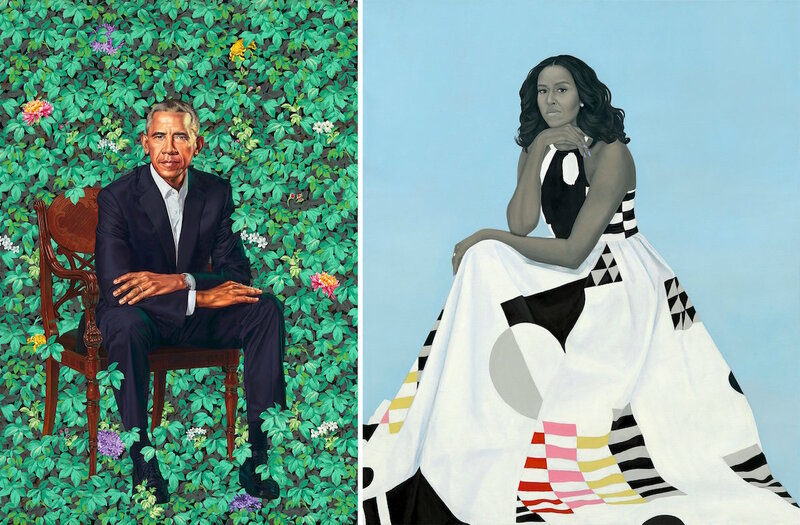 On the week that Barack and Michelle Obama's official portraits were unveiled at the National Portrait Gallery, Dushko Petrovich, an associate professor in the School's New Arts Journalism department, took the opportunity to writing about portraiture more broadly. Writing for T: the New York Times Style Magazine, Petrovich's article "The New Face of Portrait Painting" contextualizes the former First Couple's decision to select Kehinde Wiley and Amy Sherald for their portraits—two accomplished artists who take a more interpretive approach to the concept. He links our resurgent interest in portrait painting to a combination of increased desire for concreteness during our factually challenged times, and an increasing demand for diverse representation in art and media generally. For the latter point, Petrovich points to two SAIC alumni as examples: Aliza Nisenbaum (BFA 2001, MFA 2005), who was featured prominently in the Whitney Biennial for her work centered around undocumented immigrants; and Tania Bruguera (MFA 2001, HON 2016), whose work centers around her experience as a Cuban dissident.